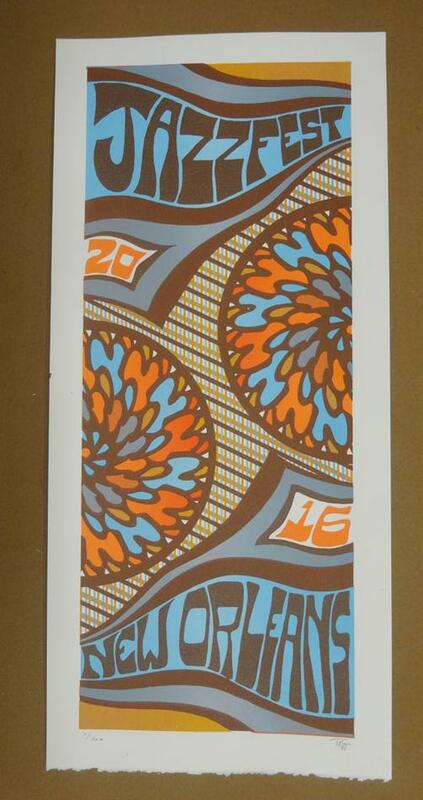 Original silkscreen concert poster for The New Orleans Jazz Fest in New Orleans, LA in 2016. It is printed on Watercolor Paper with Acrylic Inks and measures around 10 x 22 inches. Print is signed and numbered out of 200 by the artist Tripp.